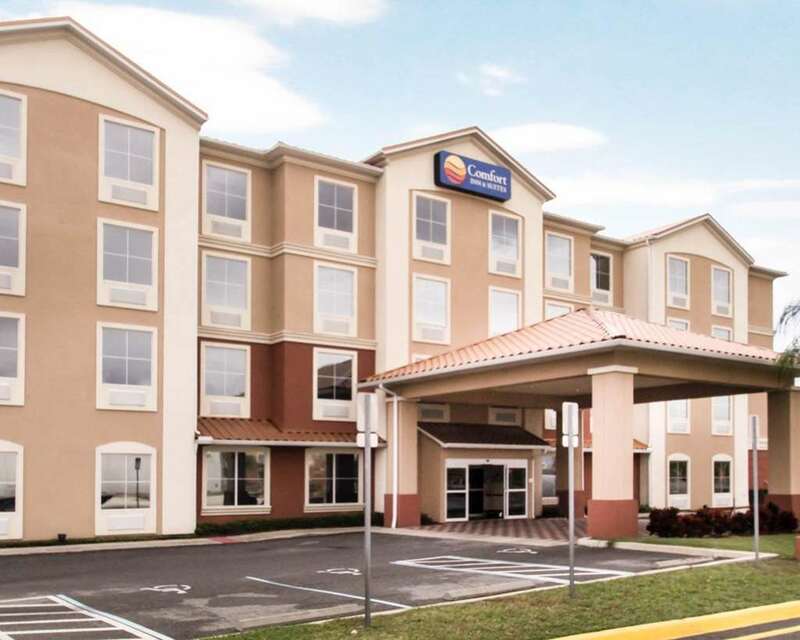 Get the essentials you need to be your best at the 100 percent smoke-free Comfort Inn and Suites Maingate South hotel in Davenport, FL. We are close to Walt Disney World, SeaWorld, Universal Studios and Gatorland. Get ready to take on the day with such amenities as free WiFi, free ample parking, free hot breakfast, fitness and business centers and outdoor pool. Behind every great day is a great night in your guest room, which features a refrigerator, microwave, coffee maker, hair dryer, safe, flat-screen TV, desk, iron and ironing board. Also, earn rewards including free nights and gift cards with our Choice Privileges Rewards program. When driving from Orlando, guests must make a U-turn--read map directions on website.